The main purpose of this report is to analysis General Banking Operation of IFIC Bank Limited. General purpose of this reports are to know about IFIC Bank Limited and it’s general banking system. Here also focus on about the IFIC Bank Limited’s business process like- analyze Credit Collection Department by using bank’s current online services and overall marketing of the Bank product. Finally identify the customer servicing systems of the Bank and to detect the employees capability to provide quality service. The importance of the mobilization of savings for the economic development of our country can hardly be over emphasized. The bank considers savings and deposits as lifeblood of the bank. More the deposit greater is the strength of the bank. So they intend to launch various new savings schemes with prospect of higher return duly supported by a well-orchestrated system of customer services. Technologies such as computer, ATM, telecommunication etc. all would be harmonized and adapted to the system in order to provide found the clock and any branch services to the clients. A wide range of products and services different type of deposits such as SB, CD, FDR etc are offered by this department. Local private banks is biggest threat a they offer higher interest rate and better services. General Banking is designed to serve the general people is saving money, smoothing transactions for commercial people and ensure security of the precious wealth of the clients lot of important activities. This section opens Current Deposit (CD), Savings account (SB), STD, FDR. Most vital work starts from here as selection of customer is very important for the bank success and failure. If the account holder do money laundering through this account than the bank will be legally responsible for that and bank has to answer to Bangladesh bank or customer may occur fraud and forgery by this account and thus destroy goodwill of bank’s. In branch account opening officer follow some rules which are guided by IFIC Bank manual and senior opening form signature is must in this case. Manager’s signature is must on every account opening form as permission for opening the account. All these help to stop adverse situation. The rate of interest is 6.00 % against SB account. In short term deposit account, the deposit should be kept for at least six month to get the interest. The STD account is a very important class of account in this bank. The minimum amount of balance has to be maintained with STD account is TK. 25000 Interest is given at a rate of 4.5 percent which is less than savings account. Normally various big companies, organizations, government departments keep money in STD account. For this type of account, frequent withdrawal is discouraged. Deposit should be kept for at least seven days to get interest. Prior notice is required for the withdrawal of money from STD account. The account holder must give seven days before the withdrawal that is why STD is also called ‘Seven days notice’ current account. Sometimes the customer wants to transfer his account to another branch due to various reasons. IFIC Bank, Dhanmondi Branch, also gives this kind of facility to the customer. In this case, they will have to submit an application to the branch manager stating the reasons. The officer verifies the signature and finds out the balance of the account holder. The holder also submits the rest check leaves along with the application. Then the officer issues an Inter Branch Credit Advice (IBCA) to that branch and a debit voucher with the balance of deposit in that account. He also sends the account opening form and specimen signature card to that new branch. The new branch officer verifies the customer signature with account opening form supplied to him. The amount mentioned in the (IBCA) considered as the initial deposit of the new branch. 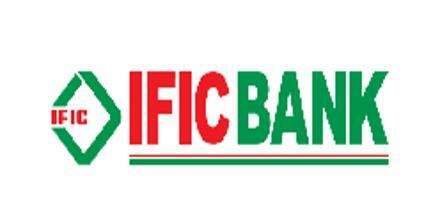 IFIC Bank offers a wide variety of deposit products to meet your financial needs. From current and savings accounts to Fixed Deposits and Pension Schemes each account is designed to give you the best value for your money. Monthly installments of our PSS will qualify as allowable investment in Yearly Income Tax Return. The account under this scheme will also be exempted from deduction of tax on interest payable at source. However, If any tax or other Govt. Levy is payable under this Scheme in future the same shall be deducted from the account. The A/c holder can avail loan / Secured Overdraft (maximum 80% of the deposited principal amount but not less than Tk.20, 000/-) against lien of the PSS account to meet the personal need, educational expenses of his/her children or for medical treatment. a) Minimum required balance Tk. 2000.
g) Transfer of fund from one branch to another. h) Opportunity for availing locker facility. i) No extra hidden charge. Short Term Deposit account is opened for any individual/firm/company/Financial institutions /societies/clubs/Trust/NGOs/Banks/Corporations/Autonomous bodies /government organizations. Initial Deposit for opening account Tk. 25,000/- which should be considered as minimum balance. LTR,PAD,SOD,L/C SOD work Order,PLS,CCS,Car Loan,Doctors Credit Scheme,Small Loan General Loan, House Building Loan, Staff Loan , Lease Finance.